Dream Homes Team is ranked amongst the 1% TOP Producing teams on Zillow and all San Diego County. Not Just words but facts! In this industry many claim to be the #1, so this is why we show you the numbers. The team in San Diego, consists of 5 exemplary Real Estate professionals who make it their goal to make each transaction for each client, an all around top notch experience. They listen to their clients and deliver results, it is not about us it's about YOU, what's important to YOU. Team leader & founder, Joe Corbisiero, has achieved his success, not only in the US, but his hometown of Rome as well. He is well traveled and enjoys studying markets throughout the world and always expanding his knowledge. With a plethora of experience not only in the sales aspect, but in property management and investing of his own, he decided to start a team under his wing. Not only agents, but Dream Homes Team has an all around support system to ensure you receive the best service imaginable & are catered to. 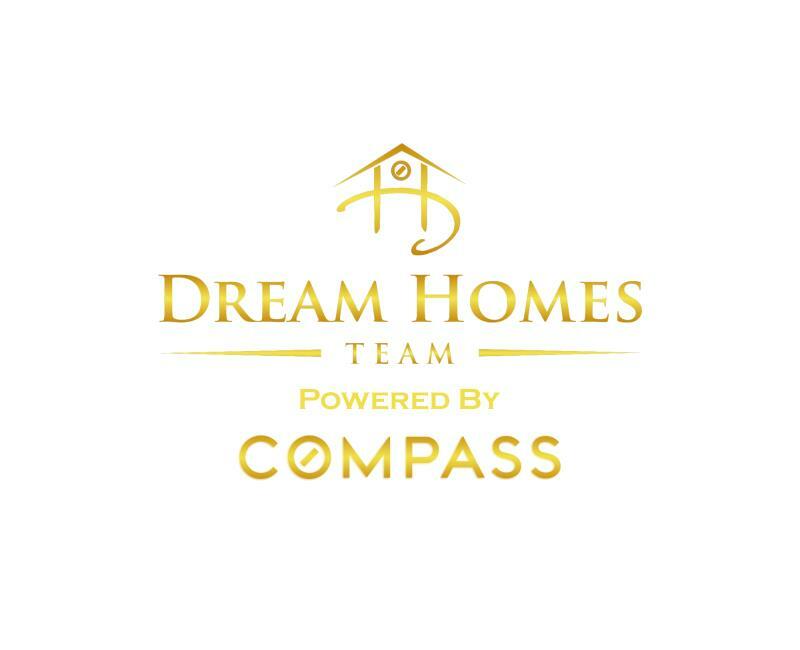 Dream Homes Team has their own coach, Operations Manager/Listing coordinator and Marketing/Media Manager . To make sure YOU will have an amazing experience. Dream homes team is a diverse, multi cultural team who believes in the power of synergy. As a team, we work together to serve our clients-if your agent is not available at a time, we have someone right there for you to make sure you don't miss an opportunity. In this business, timing is everything! With hundreds of transactions under our belt and over 100 positive reviews, there is no doubt the level of service we offer. Everything Dream Homes Team does, is grade A quality. From photos, to staging to the vendors we partner with, we only deal with the best of the best. Discount is not a word to be used in any sentence involving the team. Dream Homes Team has recently merged forces with Miami Real Estate Solutions to spread out into the Miami & international market. Francisco Devito is a highly skilled. multi versed Real estate professional who brings strong work ethic, and powerful sales skills to add to our team out in Miami. He also has implemented an operations manager, listing coordinator and marketing manager to serve his clients in Miami. So if you are looking to purchase or sell, in California or Miami, we are your team. GORGEOUS custom single level Spanish style home.3,697 SQ FT of elegant interior designed living space w/extensive windows throughout, recessed lighting, travertine marble floors, dual gas fireplaces, maple cabinetry. Living areas feature dramatic high ceilings &nearly every bedroom is ensuite. A chef's kitchen provides for wonderful entertaining & features a center island & formal dining area.Set on 1acre of usable land, w/lush manicured grounds providing the ideal setting for family & social entertaining. Walk into a formal entry way with 10 ft high ceilings in the entry, living and dining areas and 9ft ceilings throughout the rest of the home. Living room features a marble fireplace and access through french doors to the covered patio.The family room flows into the nook and kitchen area. Access the side patio from the nook area. Kitchen features a large pantry top of the line appliances . The center island features overhead lighting, vegetable sink, and bar top. Granite countertops highlight the maple cabinets. Access to the covered patio, through another set of french doors from the grande master suite. The master bath has limestone tile counters, sunken tub, and large shower, featuring two shower heads. Bedrooms 2 and 3 have their own bathrooms and bedrooms 4 and 5/office have a large shared bathroom. All bathrooms have maple cabinets and tumbled limestone counters. Interior laundry room at front of home. Two zone air conditioning 4 car attached garage as well as lovely landscaped front of home with macadamia nut trees. Backyard features a covered patio, attractive fire pit and a slight walk up jacuzzi & sitting area perfect for those cool summer evenings. Seller's entertaining offers from $499,000-$529,000 The quick freeway access (under 1 mile) makes it an easy commute to all San Diego has to offer. It is in very close proximity to La Mesa shopping and restaurants in this west El Cajon Home. The perfect San Diego weather demands an outdoor space that is perfect for family time and entertaining. This huge backyard offers the pool and hot tub with enclosed gazebo to ensure endless days of outdoor living fun with a perfect sized grassy area as well. Inside is a spacious kitchen to host your dinner parties, in addition to the oversized living area that holds even more friends and family members, making this property a perfect family home. Joe truly exemplifies the the real estate agent and partner that you want in your corner! As a Buyers Agent, Joe listened to what my desires were for a new home, stayed alongside me as I slowly reviewed prospects, and new when to press forward on the profile that fit my ideal. Joe was my advocate at the negotiating table, got me the house that I wanted, and walked me through the process with confidence. I have turned to Joe on my next real estate transaction and would recommend Joe to all those who truly want an aligned professional on their next real estate transaction. Thanks Joe. Joe and his team were excellent in the process, right of the bat he explained all the home buying steps and answered all my questions. I was afraid I wouldn't get approved or my down-payment was too low but to my surprise it wasn't. He is also bilingual and was able to answer questions my wife and mom had. Furthermore, the post home experience was equally great if not better! I couldn't be happier with my purchase, I will highly recommend and even if you just have questions he will gladly meet with you and answer/clarify what ever concern you have. Joe was a big help in our selling process. In particular, he helped us determine which home improvement projects would give us the biggest return on our investment. He did a lot of marketing as well as open houses. Joe Corbisiero was recommended to me by a friend who has recently sold his house and I am glad that I’ve followed his advice. Joe was able to find an excellent Jupiter property to buy. The entire process went smoothly and he was there to answer any of my questions or to provide assistance whenever it was necessary. Since I was a complete beginner in this process I found these tips very helpful. You can rarely find a realtor that is so patient and willing to help as Joe. I will definitely use his service again if needed and I will continue referring Joe to my friends and coworkers. It was a pleasure working with Krystle, who works with Joe. She was very knowledgeable of the process and was always prompt in answering any questions or resolving any issues we had. This is a great team to work with. I contacted Mr. Corbisiero after a postcard came in the mail. I was interested in purchasing a home for my daughter. Joe answered every question I had and got me in contact with his lender. The whole process has been smooth. It took us only 5 days to get into escrow on a home there were many offers on. Me and my husband are so happy with his service so far and are looking forward to closing for her. We had a fantastic selling experience with Clemencia. Our home went on the market and had multiple offers in a matter of days. When the highest buyer attempted to re-negotiate she helped us reach a fair resolution. Our home still sold above our asking price even after we re-negotiated. She is was extremely professional and quick to respond to calls, texts and emails. We cannot recommend her enough.